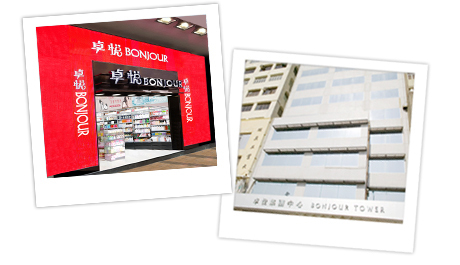 Bonjour currently runs 36 retail stores in Hong Kong, Macau and Guangzhou that cover a broad range of items to cater the diverse needs of customers. The Group is currently selling over 20,000 kinds of featured products and is dedicated to providing products of exclusive distribution, international brands and in-house brands. Seven Bonjour branches have auxiliary shop “More Mall” specializing in selling snacks from Japan, Korea and Taiwan.